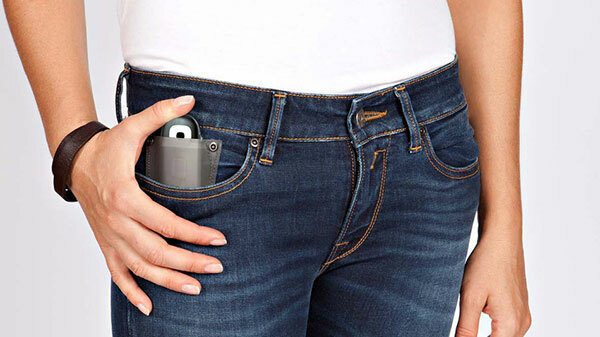 These hi-tech jeans will update Facebook and Twitter with your current location and mood via a fifth pocket that interfaces with your smartphone. Due out later this fall, they’ll be available in blue or black with the price range between $200-$250. German company Novero has recently released their Victoria collection, made up of “contemporary Bluetooth accessories in timeless jewelry form”. 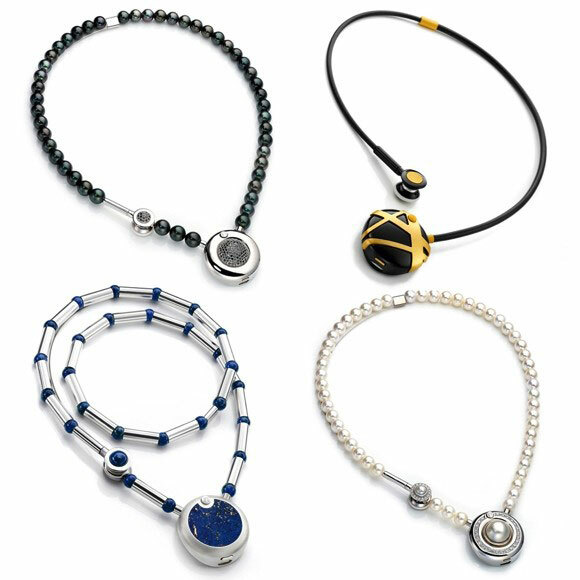 These bluetooth necklaces are available for men and women and are geared toward high-end consumers at a price-point of $349 and $899 all the way up to $120,000 for some with precious stones. Read more here. 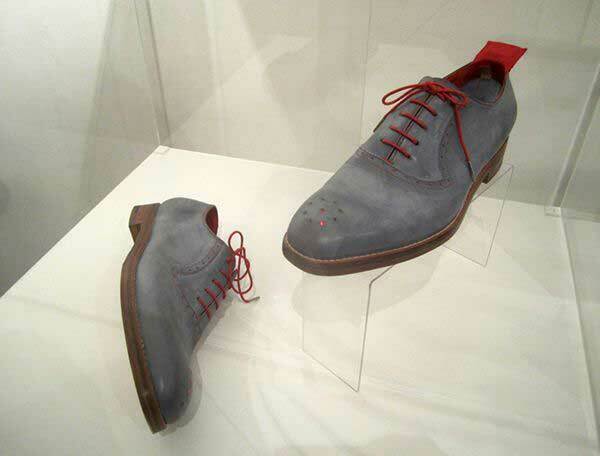 Click your heels and these GPS-enabled shoes will guide you home via a ring of LED lights on the shoe tip that point your way to your destination. One shoe will light your way and provide directions while it wirelessly communicates with the other giving you a status bar indicating how close you are to your end point. Read more here. 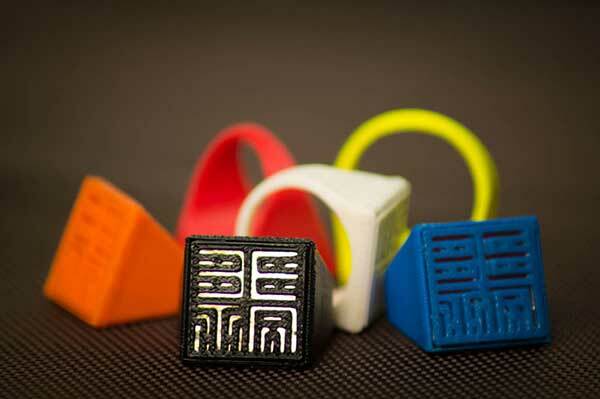 Two students at MIT created 3D-printed RFID-enabled rings to replace their public transport cards. Their waterproof “Sesame Rings” that can be easily scanned at public transport turnstiles have been approved by the Massachusetts Bay Transportation Authority. The creators sought funding of their project on Kickstarter and surpassed their goal of $5,000 by raising nearly $20,000 within 23 days. Their tagline: “Wearable Charlie Cards, so you can pay public transport fares with a dash of style.” Read more here. These high-tech glasses rival Google Glass and are geared specifically towards extreme sportsers – their well-thought out design even includes polarized lenses for glare! They incorporate gps and sensors which allow them to provide stats about speed, distance, elevation gain, etc. They can connnect to 3rd party sensors such as heart rate monitors, and wifi as well as to smartphones for sms, calling, and Web connectivity. You can also export your data to social networks. Read more here. 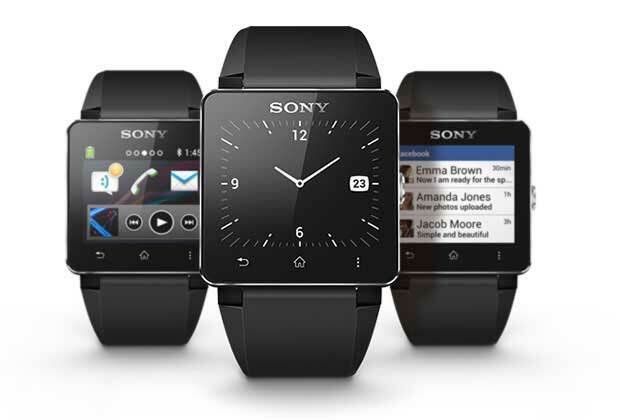 Sony’s 2nd generation SmartWatch interacts with your Android smartphone via BlueTooth and can utilize hundreds of Android apps. It acts as a remote for your phone and will display call notifications, text messages, as well as let you access your social media apps such as Twitter. Read more here. The Oculus Rift Virtual Reality Helmet is the future of gaming and so much more. This state of the art helm can also be combined with an omnidirectional treadmill that makes the user feel as if they have transported into the game environment. It’s been likened to the experience of Star Trek’s holodeck. The goggles are currently in beta and are being tested. They are expected to launch soon with a price point of about $300. If you’d like to see a video with just the headset alone, you can check one out and Read more about the headset here. The Hero3 mountable camera can be worn to capture all of your favorite activities in a hands-free fashion. Great for sporting activities of all kinds, the Hero3 can be taken anywhere, including underwater. It has built-in wifi that enables remote control on smartphones and tablets. Read more about this fantastic camera here. 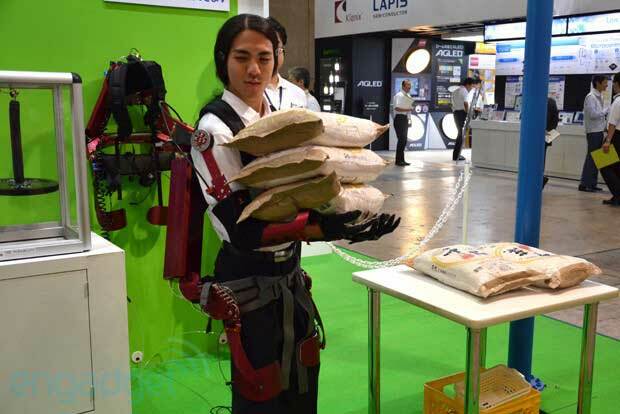 The students at Tokyo’s University of Science have created a robotic suit with artificial muscles that make it possible to lift an additional 33 to 44 pounds. “When pressurized with air using electrical components from KOA Corporation, the lightweight, loosely-woven PET tubes contract and consequently provide support to the user’s back, shoulders and elbows.” Read more about this incredible suit here. 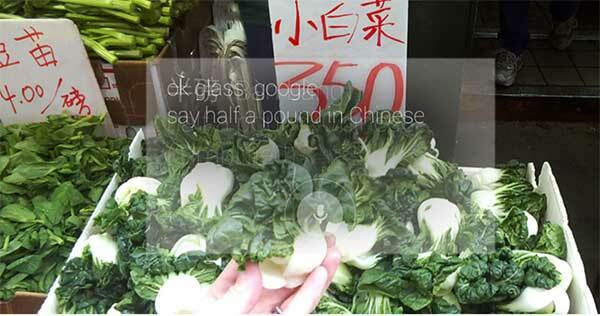 Google Glass is in essence a wearable computer in the form of a pair of eyeglasses that are voice activated. According to the New York Times, “Glass wearers can take pictures or record video without using their hands, send the images to friends or post them online, see walking directions, search the Web by voice command and view language translations. The glasses reach the Internet through Wi-Fi or Bluetooth, which connects to the wireless service on a user’s cellphone. The glasses respond when a user speaks, touches the frame or moves the head.”. Read more here.